There is something quietly enchanting about a cloister, the soft footfalls of the past still reverberating around its walls. A predominant feature of Franciscan Friaries, so few in the West are left intact. But Quin, she is something special. Walking around her vast halls you cannot help but be transported, whisked into the lilting rhythm of a long lost matins, reaching out from the very stone. Copyright © 2019 Claire Loader. All Rights Reserved. where pain and pleasure lurk. 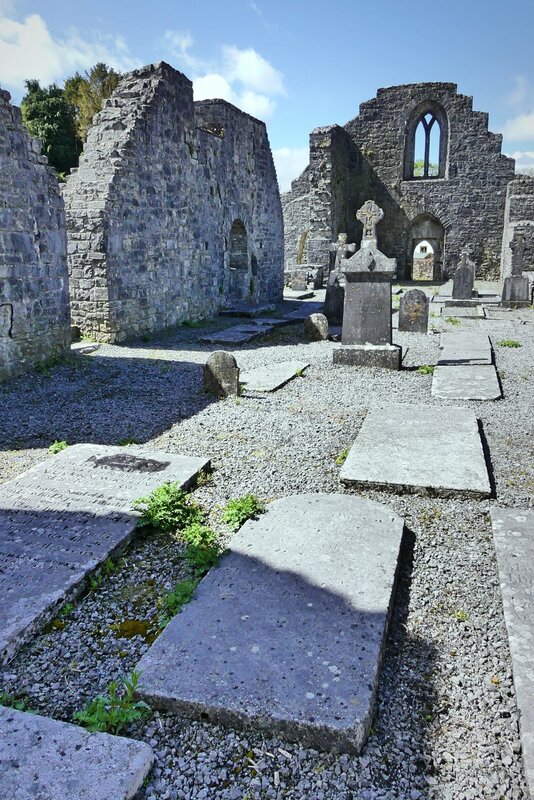 If Ballinrobe Priory had a star sign, it would certainly be Gemini – the Abbey of the Two Faces. Desolate in her winter garb, the earth damp with long forgotten grief, she comes alive then in summer, flowers blooming in alcoves, life within the stone. 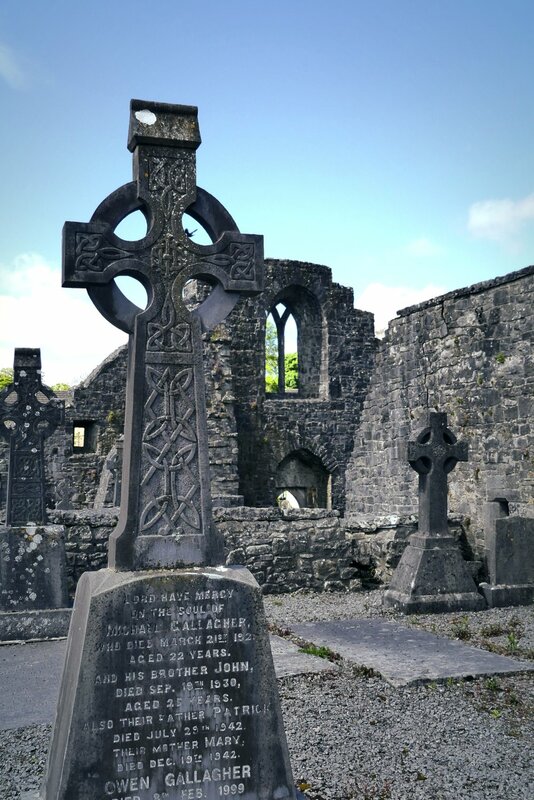 If sass was ever to be used to describe an abbey, then Clontuskert simply abounds. Filled to the brim with beautiful carvings and surprises, there are few that can top her many treasures. Burnt down in the early 15th Century, the abbey was rebuilt upon the granting of indulgences – 10 years for all those who would help fund her repair. It’s hard to not imagine then, gazing through the intricate west doorway towards the grand east window, just what sins were washed away to bring to life such beauty.